This prize is donated by Mictronics, maker of RK Radios. With 302 alphanumeric memory channels, including 50 band edges and 2 call channels, the IC-T70A HD gives you flexible scanning lists. With a maximum of 26 memory banks*, you can pick and choose the desired banks for scanning from the 250 memories. Up to 100 channels per bank. CTCSS and DTCS tone codes provide quiet stand-by and allow you to use tone-access repeaters. Pocket beep alerts you when a matching tone frequency is received. Tone scan detects the subaudible tone that is used for repeater access. 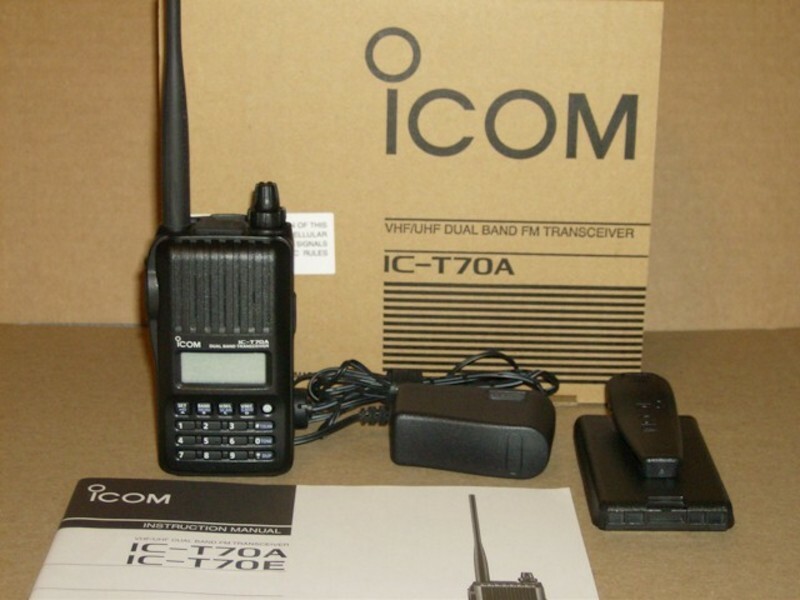 The IC-T70A HD has an internal VOX (Voice Operated Transmit) function for convenient hands-free operation when used with a compatible optional headset and plug adapter cable. Also, the VOX level and VOX delay time are adjustable. Dust protection and water-resistance equivalent to IP54 provides reliable operation for practical outdoor operation. The IC-T70A HD tested to and passed MIL-STD 810 environmental tests.